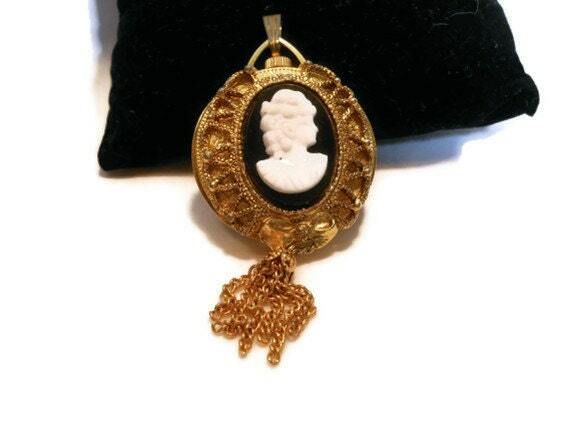 Watch Cameo pendant - Swiss Made Lucerne winding two sided Pocket Watch black Cameo pendant in working condition. 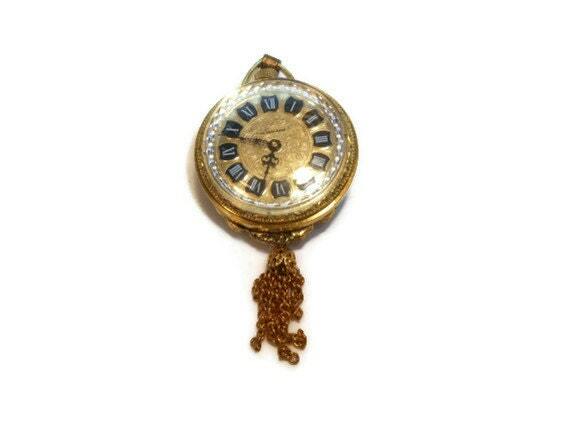 A beautiful way to wear this statement size, 1 3/8" (35. cm), pendant and then discreetly check the time! There is one scratch to watch side, visible upon close inspection, and there is some light rubbing of the gold on the edges to reveal silver tone backing. Lovely cutwork surrounds the cameo.